That Oregon Chardonnay is gaining in prominence and prestige is no longer news. If you've been drinking these wines for the last 7 or so years you've already known irrespective of national newspapers taking note very recently, that this variety from Oregon has the potential to be a fine wine, a damn fine wine. Enter Oregon and David Adelsheim. Oregon's Willamette Valley; known the world over, and I mean that sincerely, for it's Pinot Noir is also producing Chardonnay that might rival or in some cases pass its Pinot in prominence. Given America's propensity to see red wine as more "serious" though I don't know if Oregon's Chardonnay will ever get it's full due, however it's reputation is on the rise and a style is emerging as one that might just change the way American Chardonnay is understood. David Adelsheim is certainly among the shortlist of names as one of the Willamette Valley's pioneers. Though he came a few years behind the first wave of David Lett, Charles Coury and a couple others, his role in the development of Oregon's Chardonnay is perhaps more unparalleled. The valley's original Chardonnay plantings were selected from vines intended originally for planting in California. In the cool Willamette Valley they flopped, In many cases they wouldn't ripen properly and were often a few weeks behind Pinot Noir. These two UC Davis clones, known as "selection 108" weren't cutting it. While working a harvest in Burgundy in 1974, two years after planting his own vineyard which included Chardonnay, Adelsheim noted that the Chardonnay in Burgundy was ripening right alongside the Pinot Noir. The process was complicated but eventually some appropriate, and healthy clones were released via Oregon State University for planting in 1989. Adelsheim, along with Rollin Soles of Argyle and Chehalem's Harry Pederson-Nedry championed the planting of these Dijon clones in an effort to replace the ill selected "selection 108." Pun intended. What we're seeing today in Oregon Chardonnay, is a result of that hard work and vision. "Chardonnay isn't a wine-making technique, it's a grape." David Adelsheim points out. "In order to make it well you need wine-making that actually respects the identity of the grape, and the variety that you can achieve vintage to vintage." So why are we seeing this resurgence in the Chardonnay coming out of Oregon today? "What we're seeing is a collision of two things; the level of quality possible with careful site and clone selection. A clearer vision of what we can do here. It's been a gradual recognition over the last ten years or so." It really has and over that time, you find a style of Chardonnay that emphasizes the "fresh fruit," bright acids and amazing texture for which Willamette Valley Pinot Noir has come to be known. terroir is a real thing it turns out. For Oregon Chardonnay, style is about climate, soils and the right decisions about vineyard site and Chardonnay clones. It's not about heavy oak, or maloactic fermentation. Thankfully for us others have followed and the number of beautiful Chardonnays coming from the Willamette Valley are at an all time high. Anam Cara Cellars is only in their second vintage with the 2012 release but they are among a group of "new" Chardonnay producers adding to the critical mass of outstanding Oregon Chardonnay coming to market. For Sheila Nicholas Chardonnay seemed like a natural decision. "When we decided to plant two additional acres, we wanted a white variety that would complement the existing plantings of Pinot Noir, Riesling and Gewurztraminer; each in itself a wine that evolves beautifully in a cool climate. Chardonnay - specifically Dijon clone Chardonnay - fit the bill for quality and age-ability. 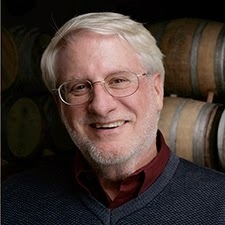 Our decision was confirmed after following several vintages of a personal favorite: Eric Hamacher's Cuvée Forêts Diverses and Harry Peterson Nedry's Chehalem Ian's Reserve and INOX Chardonnays which demonstrate the incredible versatility of Chardonnay at the hands of a great winemaker." These wines were provided as samples as part of a program called "Best Case Scenario" in an effort to highlight Oregon Chardonnay.